By Melissa Lennig on March 12, 2017 43 Comments. This content contains affiliate links. As an Amazon Associate I earn from qualifying purchases. 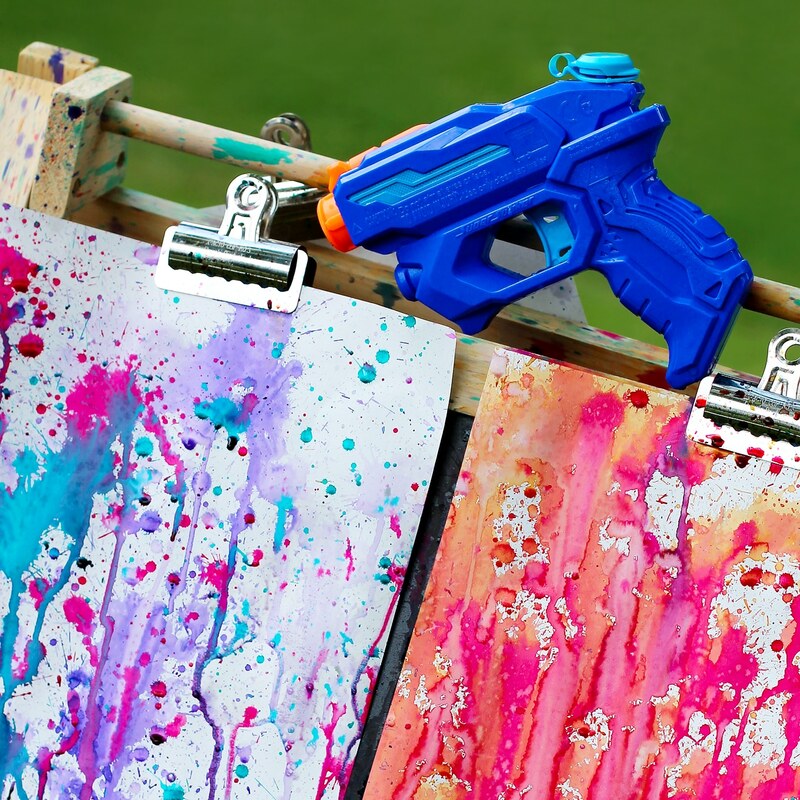 Inside: Bust summer boredom at home, school, or camp with Squirt Gun Painting, an amazing art experience for kids of all ages. Yesterday I received the first official “Mom…I’m bored!” of summer. Frankly, I’m surprised it took two weeks! Of course, it was from my oldest son, who is almost always bored when no one is playing with him. I gave him my old digital camera and sent him outside to photograph the elusive albino squirrel known to munch on cracked corn at our bird feeder every morning. My other kiddo can happily entertain himself for hours on end. In fact, not once in his 4-years of life, has he ever proclaimed boredom. Isn’t it funny how two children, raised almost identically, can be entirely different? Then he informed me, once again, that he was bored. I told him that boredom was an “opportunity for adventure” and that I was sure he would think of something to do and if not, he was welcome to fold laundry. He asked for my iPhone. I passed him a basket of socks. The morning went on and on like this, but eventually, he found markers and a coloring book and settled quietly in the family room. Later that afternoon while the boys were eating lunch, I slipped out the side door to arrange a creative art activity on the lawn. 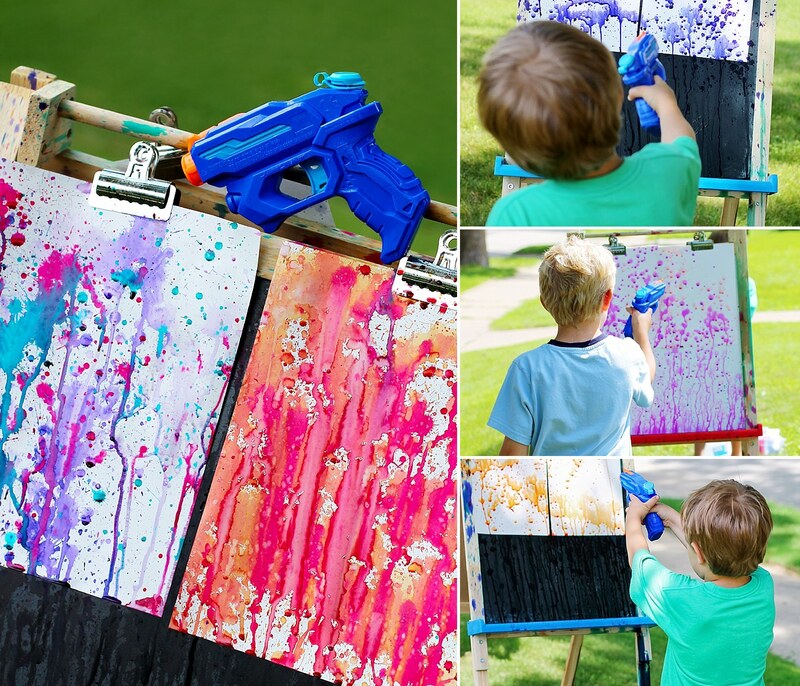 Squirt gun painting is a thrilling summer art experience for kids and is the ultimate boredom buster! 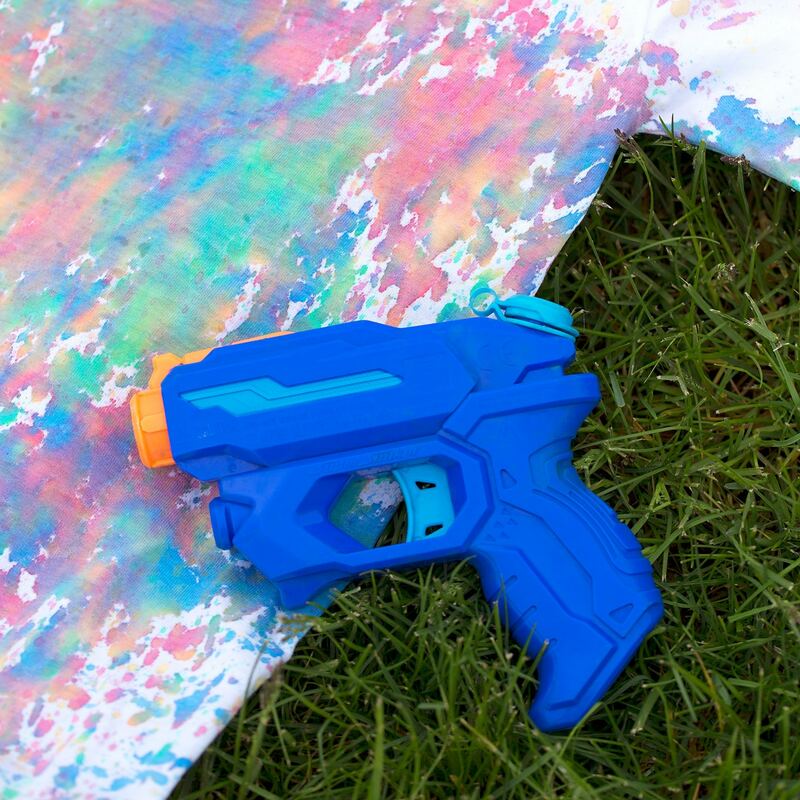 For our paintings, we used Nerf Super Soaker Alphafire Blasters. I like to avoid the super cheap multi-pack squirt guns typically found in dollar stores because they seem to end up breaking within hours. The Alphafires are still inexpensive, but have the quality one can expect from Nerf products. 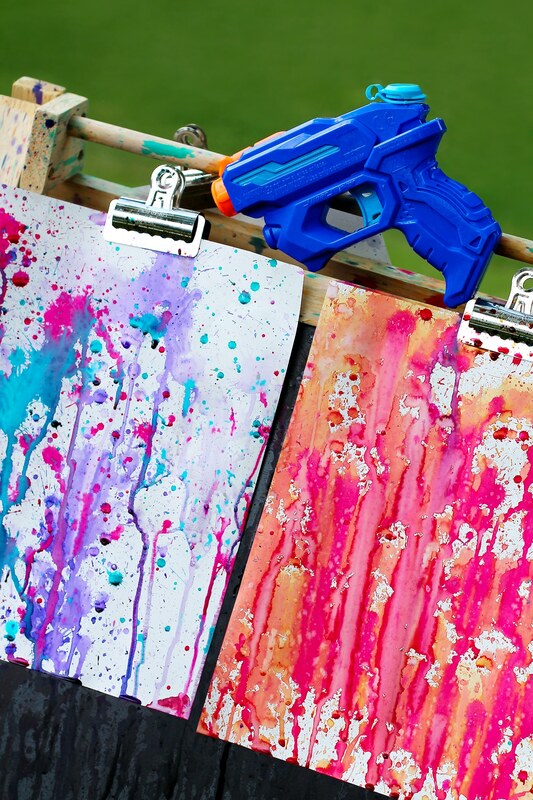 If squirt guns aren’t your thing, use plastic spray bottles! They work just as well. 1. 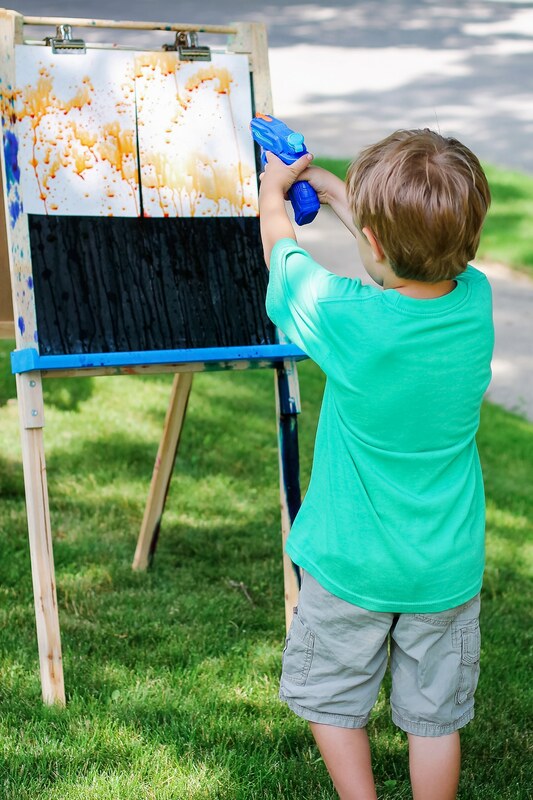 Arrange the easel in the yard, then clip two sheets of watercolor paper to each side. 2. 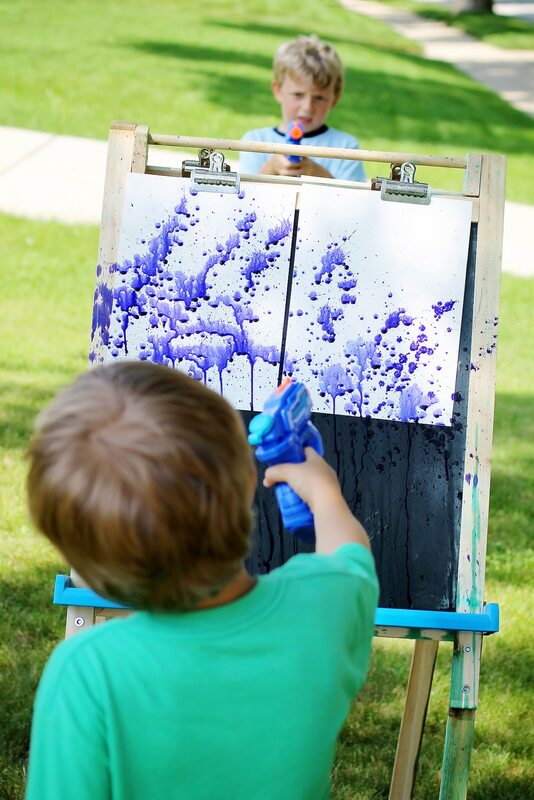 Invite your kids to fill their squirt guns with liquid watercolors, then let them go to town painting! Tip: No Easel? That’s okay! 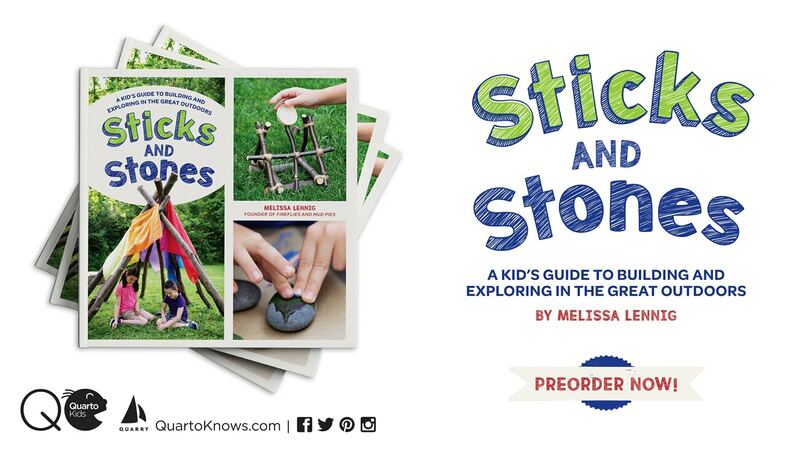 Kids can use a thumbtack to secure their paper to a tree. 3. Allow the paintings to dry in the grass. We found it helpful to weigh each one down with a rock so they wouldn’t blow away. Each painting was bright, unique, and as beautiful as the child who made it. My son (the one who had complained of boredom that morning) spent the entire afternoon creating independently with this super easy art activity. With a little cleanup and minimal direction from me, I call it a win! We’ve now placed the squirt guns in a box where the kids can access them easily so the next time he comes to me saying “I’m bored,” I’ll point him towards the squirt guns! Watch the video below to be guided through each step of this art activity. You can view more easy kids arts and craft tutorials on our Facebook Page, Teachers Pay Teachers Page, or right here on our website. 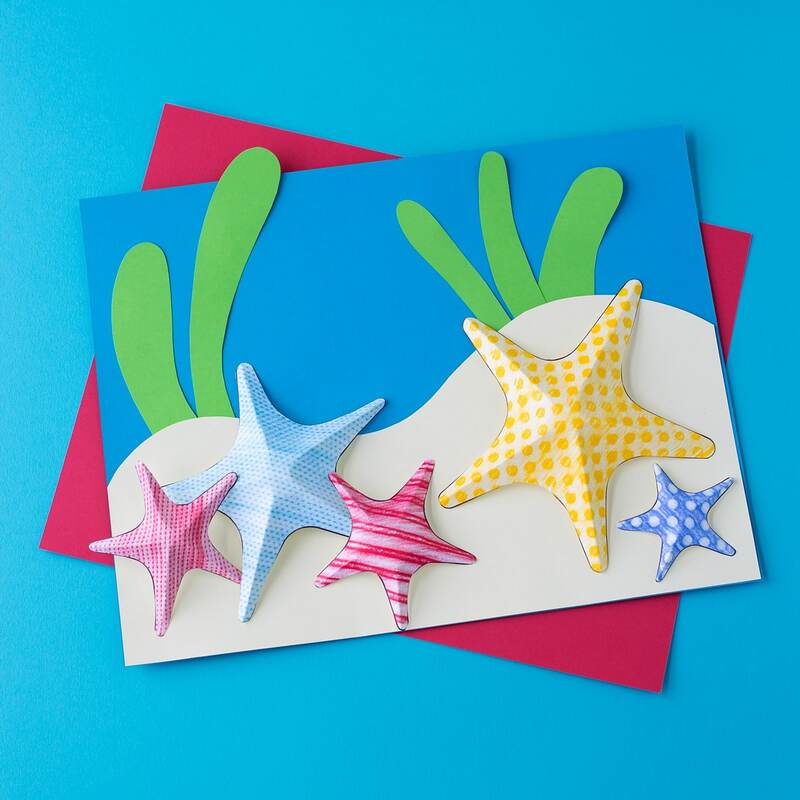 Summer vacation is a great time to get crafty with kids! Click the images below to see more creative summer art ideas. This looks like a lot of fun and my kids will love it. Thanks for the idea. This is a very cool idea! I tried this summer with my kids and they had a lot of fun and we all love the results. My boys thinks squirt guns are the coolest. What a fun, unique way to use them. I can’t wait to try this. And I couldn’t agree more – it’s so crazy that two kids, raised the same, can be completely different. I’m having a party with about 30 kids. Any suggestion on how much paint to purchase? I’d like enough for them each to do two paintings. This is such a cool idea! TY!!! Since my little cubs are not really sporty, I think we have just found an activity that will keep them outside. Excellent!